'Million Dollar' is now the mandatory challenger to Vasyl Lomachenko. Crolla improves his record to 34-6-3. Anthony Crolla rallied to a decision win over Daud Yordan on Saturday in a final eliminator for the WBA lightweight world title. Fighting back at the scene of his greatest triumph, where he defeated Darleys Perez for world glory in 2015, Crolla again tasted victory in front of his fervent Manchester following, outworking Indonesia's Yordan through twelve rounds before taking a unanimous decision verdict via three identical scores of 116-112. 'Million Dollar' will now have a mandated opportunity to regain his old WBA crown, currently in the hands of Ukrainian superstar Vasyl Lomachenko. 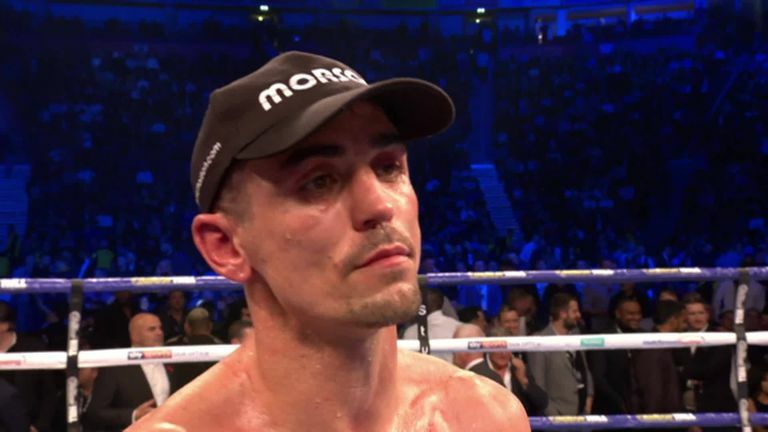 Roared on by those in a packed Manchester Arena, Crolla targeted the body in a confident opener, looking to fire a stinging uppercut through the guard as Yordan pushed forward. Despite the Indonesian, a star back in his home country, upping his output in the next, his forward pressure started to appear slightly one-dimensional, Crolla producing the more accurate work when battling up close. Fighting behind a forceful jab, the 31-year old Mancunian stayed in charge as the final eliminator reached its mid-rounds, smartly evading shots, continuing his attack to the body, the rounds tallying up in his favour. Well behind, Yordan suddenly and necessarily sparked into life in the sixth, backing Crolla up onto the ropes and crashing home a barrage of thudding blows to both the head and body, the home fighter's legs stiffening, glad to hear the bell. 'Cino' resumed his assault in the next, but Crolla met him head on as both fighters again took their attack downstairs and then, in the eighth, the Mancunian got back in complete control, showing his class to circle around his man and fire home a series of thudding combinations. Yordan marched forward, unleashing some heavy-handed salvos himself in the later rounds, but Crolla continually responded well, hammering home to the body, and stayed ahead as the contest went to the scorecards. Anthony Crolla says he would accept that challenge to face Vasyl Lomachenko.